Freemake Music Box is a new music app that gives you free access to millions of songs online. Regardless of your location, you can search, play and organize online music into playlists free and easily. Enjoy your favorite music without limits! Freemake Music Box is a new music app that gives you free access to millions of songs online. Regardless of your location, you can search, play and organize online music free and easily. The powerful search tool will bring you a song you want to enjoy, you can smoothly filter search results by track title, album or artist. Once found, you may add your favorite songs to a playlist and Freemake Music Box will automatically save it for further playback. Listen to your favorite music straight from the Music Box with the inbuilt music player. Play, pause, stop, loop or forward audio tracks. 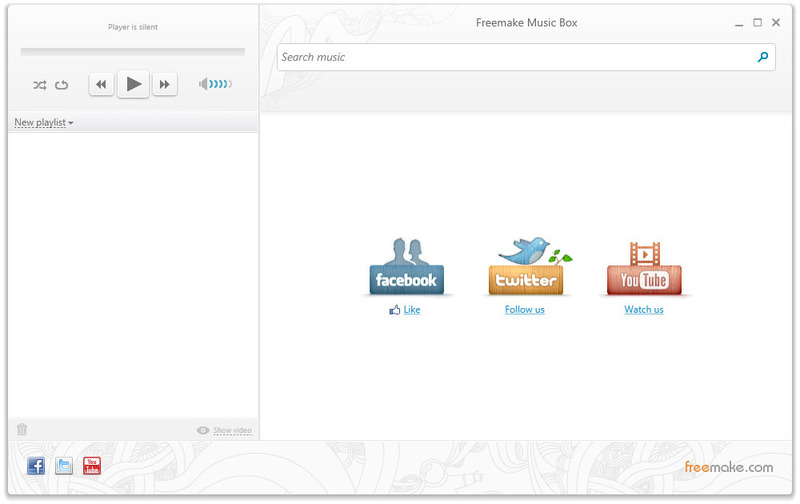 With Freemake Music Box, you don\'t have to think where and how to get free online music. Enjoy your favorite music without limits, listen all you want and wherever you are. Accord CD Ripper is an allround and powerful audio CD ripping software, with it you can easily rip CD to MP3 and FLAC. MP3 Boss allows you to easily/fully manage&play your MP3 song files. Integrated Winamp support, auto scanning, extensive database functions (sort, search, filter, report), file management, file cleanup and many special functions. Leawo Free PS3 Converter is a totally free video to PS3 converter that can convert video to PS3 or PSP MP4 file and into popular audios to enjoy video on PSP or PS3, such as avi to ps3, mpeg to ps3, mp4 to ps3, 3gp to ps3, avi to psp, etc.